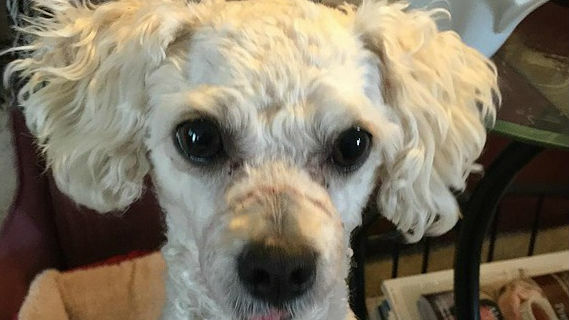 A 4-year-old miniature poodle found with rubber bands cutting deep into her muzzle is scheduled to go home with her adoptive family Wednesday after recovering from her injuries, according to the County of San Diego Department of Animal Services. Animal Services officials began accepting special adoption applications for Frankie last week and received 27. She was discovered Jan. 3 running loose in a park in Logan Heights. A responding animal control officer found that the dog had rubber bands wrapped around her muzzle that cut to the bone. The poodle has spent the last several weeks at a foster home recovering from surgeries to repair her injuries. The $3,000 veterinary cost was covered by the department’s Spirit Fund, which pays for advanced care. The poodle weighs just under 10 pounds, is really playful and loves to fetch and be held, according to her Animal Services handlers. An animal abuse investigation is still underway, according to county officials.